The UK Safety Store is a well respected retailer of signs for the home and workplace, including a range of safety signs for interior and exterior use. This company also offers essential home items such as fire alarms, first aid kits, fire extinguishers and other protective equipment and work clothing which is ideal for DIY and jobs around your property and garden. 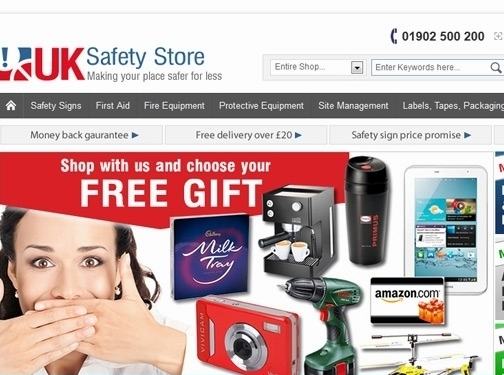 UK (Wolverhampton) based business providing safety signs, work clothing and home security products. Website includes e-commerce facilities, delivery and returns information, terms and conditions, testimonials, FAQs, full company contact details including company registration number.